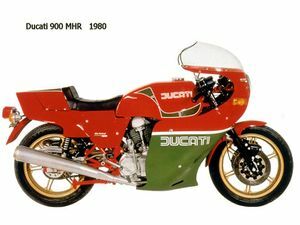 When Mike Hailwood secured Ducati's first World Championship with his comeback victory in the 1978 Formula 1 TT he provided the company with a huge amount of publicity and an excuse to produce a limited edition to celebrate the victory. 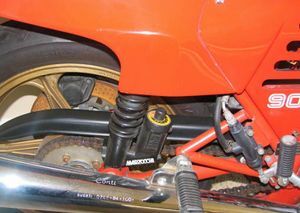 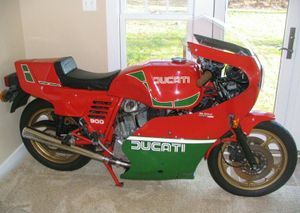 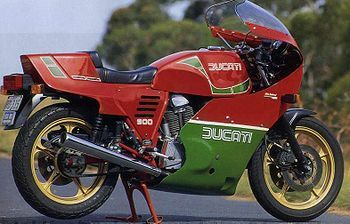 The machine that emerged as the Mike Hailwood Replica was based on the 900SS and would go on to become the best selling Ducati of the early eighties. 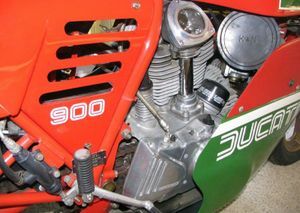 The first series of machines featured a fibreglass cover over the standard tank; later models were equipped with a fuel tank specific to the MHR. 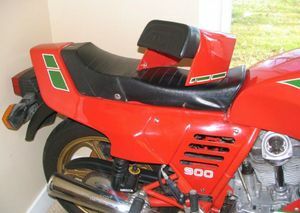 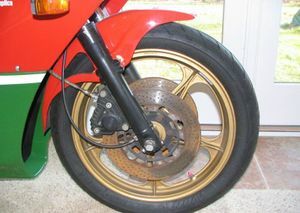 A full racing style fairing, a racing style saddle with a removable cover over the pillion, Conti exhaust system and the deletion of the side panels contributed to the racing styling of the motorcycle, although on later versions side panels were fitted. 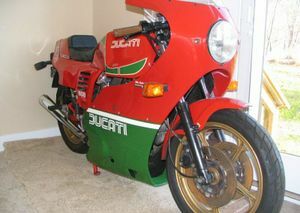 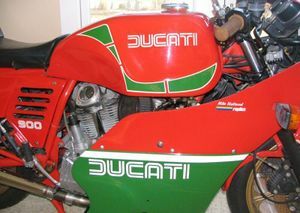 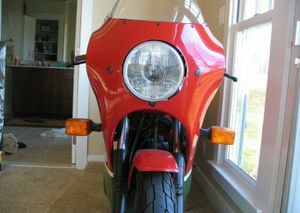 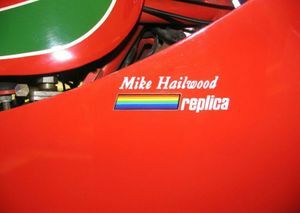 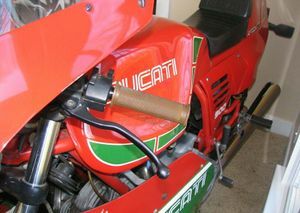 The red, green and white color scheme reflected that which adorned Mike Hailwood's race bike. 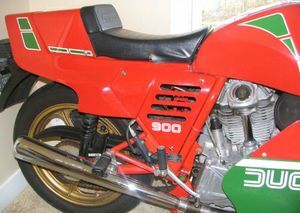 When Motor Cycle Weekly tested the new model in October 1979 they achieved a top speed of 129mph. 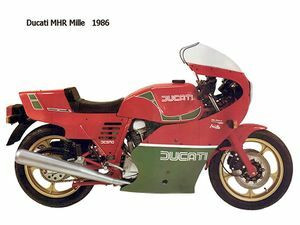 The success of the limited edition resulted in the MHR becoming a series production machine offered throughout the first half of the eighties. 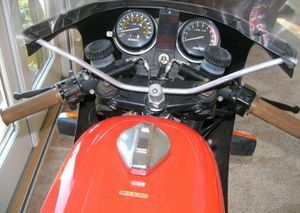 This page was last edited on 20 January 2011, at 21:38.